As a long time resident, John has grown up on the 17,000 acres of the Chippewa Flowage. 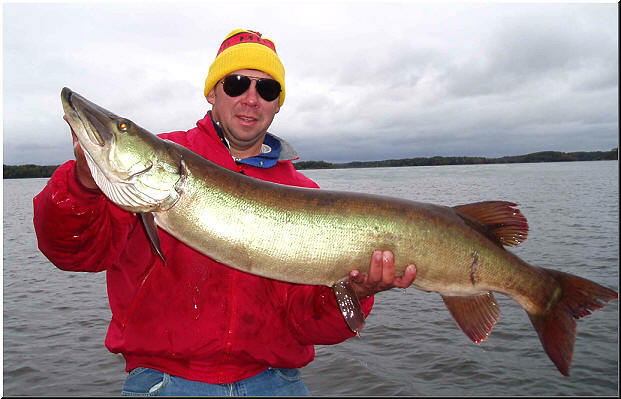 He is an accomplished Musky angler and guide and is also an author ("Three Record Muskies in His Day...The Life and Times of Louie Spray", "Top Water Tactics & Tales" & "Musky Country"). John is always eager to show new Musky fishermen the historic waters of the Chippewa Flowage as they fish for the elusive Musky. John will guide you to some of the most productive Musky water on the Chippewa Flowage. Once your guide time is over, John will mark up your map and go over every spot. John will do his best to make your experience at Indian Trail Resort productive and memorable. 1000 muskies and is available for ½ day guiding ! See John and his European guest Catch a Nice Musky !!! As you might suspect, John's guide schedule fills up quickly so...please reserve your time as soon as you can. John offers "Half Day" guiding.